Government regulations that require companies with more than 250 staff to report their gender pay gap came into force today (6 April) - the same day the PRCA launches its own scheme under which members must begin gathering data. The Government regulations apply to 9,000 employers in the private, public and voluntary sectors - some 15 million workers across the UK – who will be required to publish their figures by April 2018. Affected companies and organisations will have to publish annual figures on the median and mean gender pay gaps in their organisations, looking at low, medium and high earners to arrive at the figures. They will also be required to publish the proportion of men and women in each quartile of the pay structure, as well as the gender pay gap for any bonuses paid out during the year. The national gender pay gap is 18.1 per cent and the Government believes that eliminating it by 2025 could add £150bn to GDP. The gender pay gap in the PR and comms industry is estimated to be approximately £10,000, following numerous salary surveys and it is not uncommon for men to earn bonuses which are £65,000 more than those for women in equivalent roles. Only a handful of the biggest PR agencies are directly affected by the legislation, including, Edelman, Brunswick and Weber Shandwick. However, the PRCA, which has published the gender pay in its own organisation, has today launched a requirement for members seeking its Communications Management Standard (CMS) to publish differences in pay, which will affect agencies of all sizes. The diversity module of the audit will now include asking members how the gender pay gap features in their overall objectives and key policies and what measures they are taking to address it. 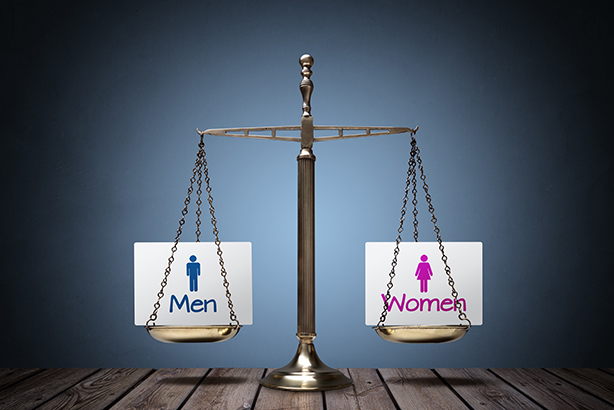 A joint PRWeek, PRCA and Women in PR survey in 2015 found that a clear majority of staff and employers in the PR industry favoured gender pay gap reporting, whether or not they employed more than 250 people. Some agencies, such as Dynamo, which employ far fewer than 250 people, have already begun voluntary reporting. Peter Bowles, co-chief executive at Dynamo, told PRWeek: "Today marks a significant change for employers in that companies of a certain size will be forced to report their pay gap. At Dynamo, although we are a mid-sized agency, we took the step two years ago to report our pay gap annually and have seen the positive effect this has had on recruitment and our status as a best place to work. "We implore other agencies to look at this and support transparency here as organisations like the PRCA have." Francis Ingham, PRCA director general, said it was time to address the gender pay gap and then end it once and for all. He said: "There is no lack of appetite for voluntary disclosure and industry-led solutions: to coincide with the Government’s requirement for larger organisations to report their gender pay gap, today marks the beginning of the gender pay gap featuring in the kitemark of PR and communications excellence. "This is precisely where it should be: front and centre... some organisations now have a year until they have to publish their gender pay gap figures, and some organisations – untouched by the legislation – have the opportunity to do the right thing and ensure our industry does what is necessary and not just what we are instructed to do." The Government Equalities Office will run an engagement campaign to help businesses and organisations understand their responsibilities under the Equality Act 2010 (Gender Pay Gap Information) Regulations 2017.